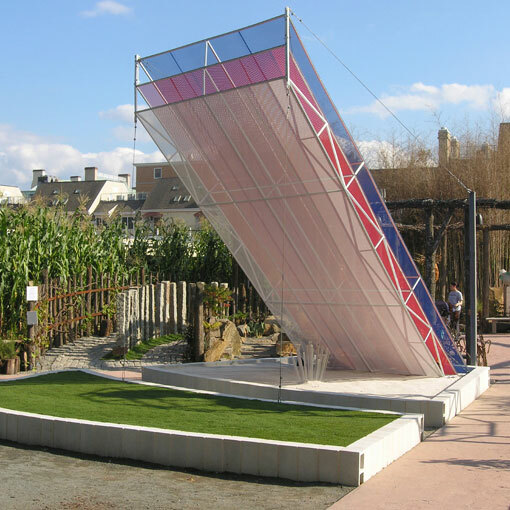 Quark Park was collaboration between Princeton area artists, architects and scientists to which JZA+D, in partnership with Sarnoff scientists, contributed the “Emerging Light” sculpture. 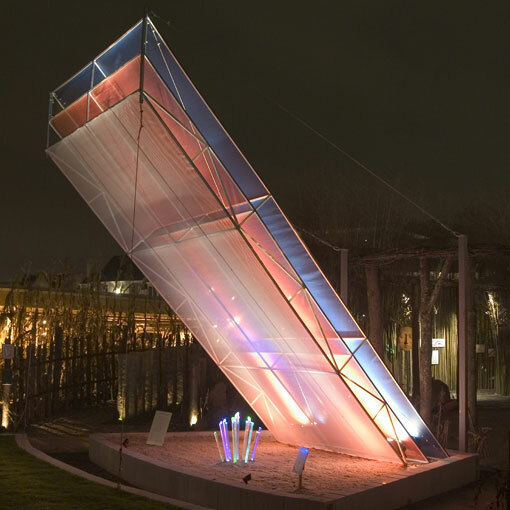 Celebrating the expansion of solid-state lighting (LED) and the science behind it, the sculpture has three elements: blue light engines, phosphorus color converters and plastic rods. The canopy that projects over the piece consists of three nylon mesh layers: a blue screen to represent LED blue light engines, an orange screen to embody the phosphorus and a white screen to represent light emitted.